AFS-USA, a 501(c)(3) nonprofit organization, works toward a more just and peaceful world by providing international and intercultural learning experiences to individuals, families, schools, and communities through a global volunteer partnership. 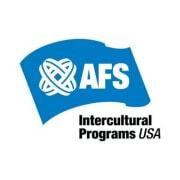 AFS-USA has two teams in the Central Ohio area: Northwest Ohio Area Team and the Ohio River Valley Area Team. Together, our teams cover the greater Toledo and Columbus areas, as well as bordering towns in southern Michigan, West Virginia and Kentucky. We are always looking for host families, returnees and enthusiastic volunteers to join our team! We offer a variety of volunteer opportunities, matching your interests, talents, and availability with roles to help support locally hosted international students, host families and American high school students wishing to study abroad. Join our global family of more than 4,000 volunteers in the U.S. and over 50,000 worldwide! Would you recommend AFS-USA (Central Ohio)?